Experience comfort like never before in these ladies GRACE slippers by Fluffy's. 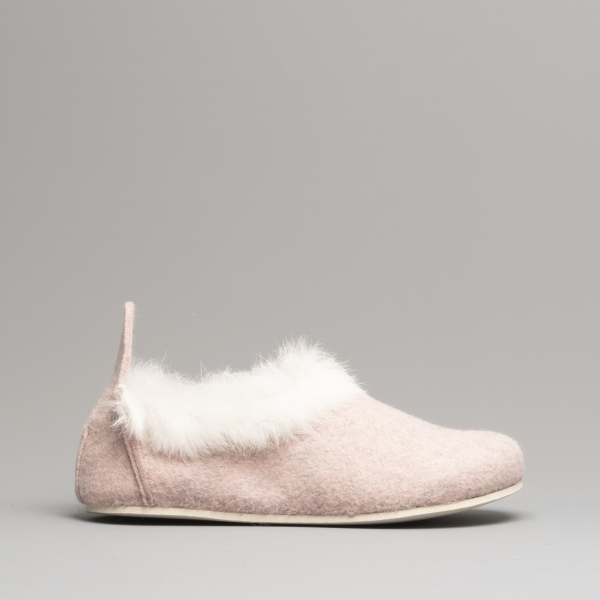 A timesless full slippers style surrounds your feet providing a comfortable and secure fitting whilst the soft faux fur footbed provides warmth and cosiness making these the ideal slippers for winter months. A touch of elegance comes from the genuine rabbit fur cuff in a stylish contrasting colour whilst the super lightweight feel maximises comfort. Get these on and off at ease with a soft felt pull tab at the back of the slippers.